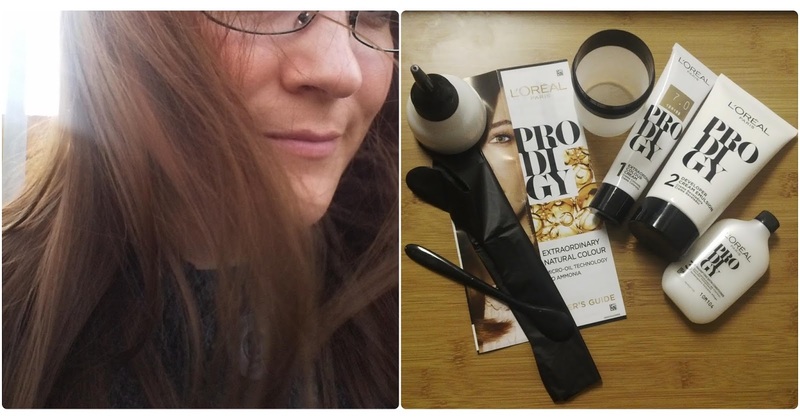 L'Oreal Prodigy Hair Colour / Gee Whiskers! 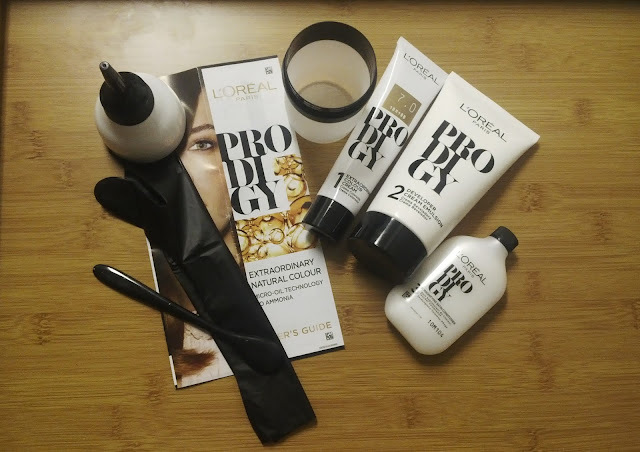 L'Oreal sent me a box of their Prodigy hair dye to try out a few weeks ago, which I used almost immediately but just haven't gotten around to putting together a post. The courier all but destroyed the box the products come in so I had to do a deconstructed photo - but it gives you a good look at what the actual kit looks like (I dyed my hair the evening I got it and only got home when it was dark, so my apologies for the evening shot). First off, the packaging of this hairdye is really luxurious. The use of bold font and black and white colours makes the product chic and modern. I think it makes the product feel more upper end and salon quality than the typical at home hair dye kit. What I really liked is that the application bottle comes in two parts which allows you to dispense the colour and developing cream without any mess. A spatula is provided in the box to mix up the product and when you have everything combined you simply screw the top of the bottle on and you are good to go. Using this dye is also very easy. the product is dispensed in nice small amounts making it easy to apply to your roots and lengths without it running all over the place. The biggest and nicest surprise for me was that it has almost no noticeable smell, because it is ammonia free. My scalp does not like ammonia and my chest also tends to close up when I use harsh chemical hair dyes. So to me, this is a fantastic product based on the lack of nasty smell alone. The developing time is around 20 - 30 minutes depending on the amount of grey hairs you have or how dark your hair is. I chose shade Almond - which is a dark blonde colour bordering on a light brown ( Prodigy ENI 7/7.0 ALMOND). It is never easy photographing the results of hair dye but here is a photo I quickly snapped while I was walking to work from my car the day after using the dye. The colour is multi-tonal and shiny which makes it look more natural. After washing the dye out of my hair and blow drying it, my hair didn't feel as if it had just been dyed. It was still soft and smooth with no funny smell to it what so ever. I don't know if I am the only person, but with some hair dyes, I can smell the dye in my hair for about 2 - 3 washes before the smells fades away. It is not something I like and sometimes I would rather just not dye my hair than deal with that. Because Prodigy had almost no smell to it, it didn't leave any nasty smell in my hair. The conditioner that comes with the kit is really fantastic as well. It made my hair so soft and smooth. Dischem currently has the Prodigy hair dyes on special for R159.99. Clicks has it for R194.95. As far as prices goes, I believe it is worth the R200 price mark. 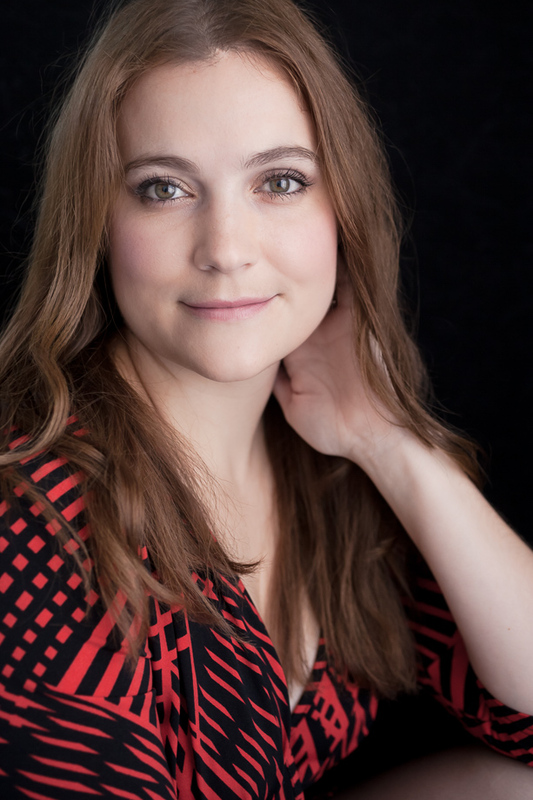 I got great results and it was so quick to use (I do have some practice with doing my hair myself - I used to play around with a lot of hair colours in my twenties). With 15 shades in the Prodigy range you will definitely find a colour that you will like. It has been just over 2 weeks now since I dyed my hair and it is still looking and feeling good. I will definitely be purchasing a box for myself when I need a touch-up as my roots are a bit darker than the Almond shade. Your hair came out looking really pretty!